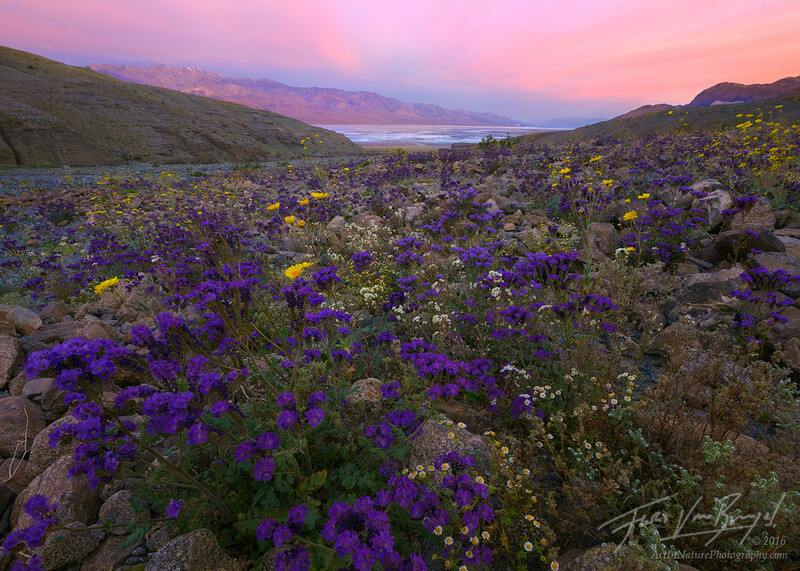 A diverse array of flowers bloom in one of Death Valley's alluvial fans. Flowers pictured here include Phacelia (blue; Phacelia crenulata), Desert Gold (yellow; Geraea canescens), Rock Daisies (white; Perityle emori), and Brown-Eyed Evening Primrose (white; Camissonia claviformis). I took this image during the 2016 "super bloom".